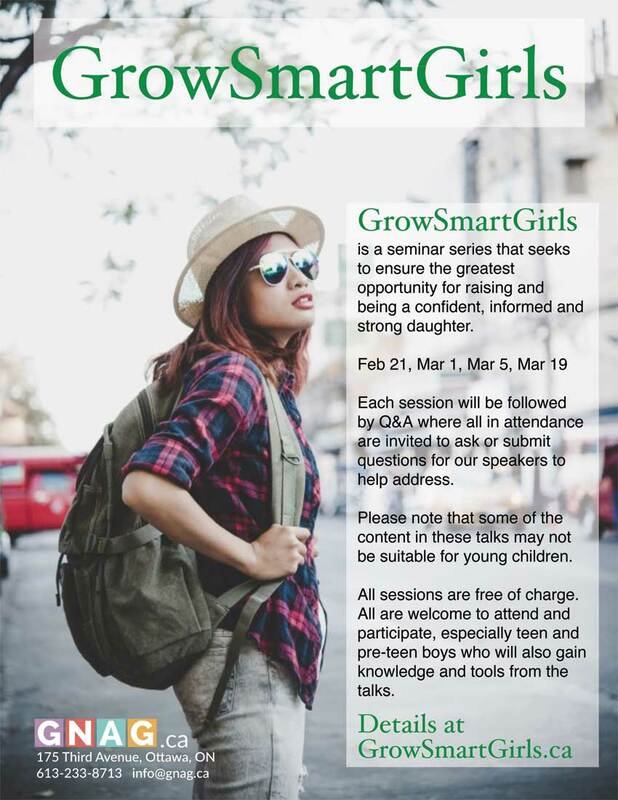 GrowSmartGirls is a FREE seminar series, in partnership with the Glebe Neighbourhood Activities Group, that seeks to equip pre-teens, teens and their caregivers with the knowledge and skills to improve their situational awareness and respond to societal dangers and challenges, including on the Internet. All – girls, boys, parents, guardians – are invited to attend. Presentations by experts and practitioners are designed primarily for pre-teens and teens. An opportunity for Q&As follows each presentation to help continue the conversation.